Entrepreneurs face many challenges, any number of which can lead to failure. As critical as any is pricing your product. In this edition of Tough Things First, Ray Zinn explores why pricing is so important and how to get it right. Rob Artigo: Rob Artigo, your guest host on this edition of Tough Things First, the podcast, with Ray Zinn. I’m a writer and an investigative consultant. Being invited back of course, Ray, is always a pleasure. Thanks for inviting me. Ray Zinn: You’re welcome. It’s always good to have you on the program, Rob. Rob Artigo: What if I told you you’re the next contestant on the Price is Right? The object of the Price is Right, which is the game show, is to be the contestant who estimates to the nearest dollar, oftentimes without going over, the retail price of an item or a package of items. Would you say this is the kind of skill that a business operator should possess? Ray Zinn: Well, the ability to properly price your product is crucial. I think that’s one of the biggest challenges that most entrepreneurs face is, “How do I price my product?” If I price it too low to get scale and revenue and just maybe to damage my competition, assuming I’m going to make it up on volume, that’s a big mistake because customers always believe that prices are going to come down over time. If you don’t keep your price coming down, then they’re just going to go to someone else. Pricing too low is a dangerous game and one that a lot of VC-funded companies do just to get scale and revenue, but they’re going to pay a price for that later on. Pricing it too high is also a problem because if you price a product high and then you lower that price later on, your customers will feel they got shafted as you would. Pricing it too high is also I think a problem. Knowing the right price is crucial in the way that you succeed. That just comes from knowing your customers, knowing the product, understanding the price erosion over time impact and just being able to, as they say, guess the Price is Right. Rob Artigo: Yeah. This is a careful dance that you had to go through. I don’t know. How many product lines at Micrel? Many. Too many to count, probably. Ray Zinn: Well, we had well over 5,000 products. Ray Zinn: We had to constantly be aware of how to price our products. That’s one of the biggest challenges that we had in marketing the products is really developing that price curve. Rob Artigo: What are some of the tasks that are incumbent upon you to get that right? Get that price right? Market research is one. You have to look at your competitors, right? Again, like I said, it’s a careful dance. It’s an exact science. Ray Zinn: Well, you look at your margins that you can build it for. You look at what you have to achieve and you need to look out at least three years. Don’t look at it … How much money you’re going to make in the first few months or year. Look at where it’s going to be three years from now. Make sure that in three years from now, you’re still making money because customers are going to expect a price decrease as well as over time, you should learn how to make that product better. Your yields will come up. Your quality will come up and so your margins should improve if you’ve priced it right. Rob Artigo: It’s a careful dance. Is there a time allotted for you in there to shift? I don’t mean pivot, like change to a different product, but when you see … When you’re getting feedback, so to speak. When you get that product out there and you start seeing it, is there anything that you can do and how much leeway do you have to change? Go up or go down. Ray Zinn: Well, in my experience, if you don’t get the price right in the beginning, there’s hardly any chance to reprice it. If you drop the price … Let’s say you came out and you priced it a little too high. You’re not selling the product. Then you lower the price. Then your customers will say, “Oh, hey. All you’ve got to do is hold out and he’ll drop the price again.” It’s a real challenge and balancing act to get that price right. If you don’t, you’re pretty doomed. It’s hard to raise it and it’s hard to lower it. 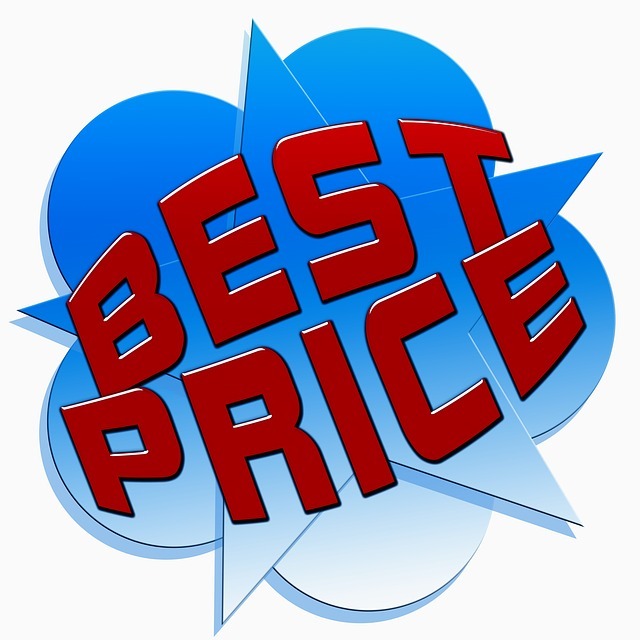 The big challenge for any new business is being able to price that product effectively. Ray Zinn: Well that could happen, too. If you price it so it looks cheap, then it’s going to be perceived as cheap. Knowing the price and the right price is crucial. It’s key to running a successful business. Now I know the companies manage to find some good, hungry vendors out there that will help make the product cheaper, but as soon as the economy turns around and that vendor then gets a chance to reprice the manufacturing of it, you find yourself in trouble because now you’ve already priced your product low to take advantage of scale of that product. Then your vendors have turned around and raised prices on you. Now your margins are going to shrink. If you try to raise your price now, you’re going to have a problem with your customers. You’ve got to think ahead. Just looking at the near-term is not a smart way to go. Rob Artigo: Well, our listeners have gotten the price right if they are tuning in here to Tough Things First and getting some great advice. Thanks a lot, Ray. Ray Zinn: Thank you, Rob. Rob Artigo: You can join the conversation at toughthingsfirst.com. Your questions and comments are always welcome. Follow Ray Zinn on Twitter, Facebook and LinkedIn. Thanks again, Ray.